Museum worker; translator; spiritual seeker. 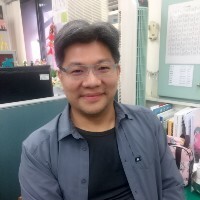 Curator, Startup Digest Taipei. Avid reader. Autodidact. Early adopter. 1 dog. 1 cat. 台北人. Hacking my ADD.